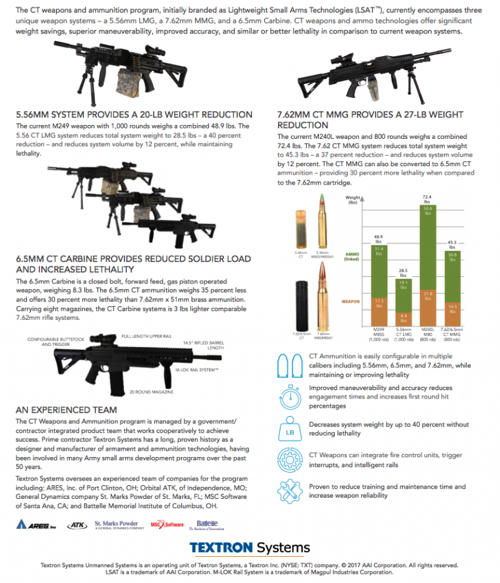 Textron Systems' AAI Corporation, an aerospace and defense development and manufacturing firm, located in Hunt Valley, Maryland, announced last week the delivery of its initial Next Generation Squad Weapon-Technology (NGSW-T) prototype demonstrator to the U.S. Army Combat Capabilities Development Command (CCDC) Armaments Center and Joint Services Small Arms Program (JSSAP), the company said in a statement. “Moving from contract award to delivery of a revolutionary, next-generation weapon in just 15 months not only demonstrates the maturity of our Cased-Telescoped technology, but also the project execution excellence our team possesses to rapidly fill critical warfighter needs on schedule,” said Textron Systems Senior Vice President of Applied Technologies & Advanced Programs Wayne Prender. In development since 2004, AAI's NGSW-T offers increased lethality and weighs 40% less than current standard issue light machine guns. The weapon chambers a telescoped round between 6.5mm and 6.8mm and is expected to be the future replacement for the M16 rifle, M4 carbine, and M249 light machine gun. 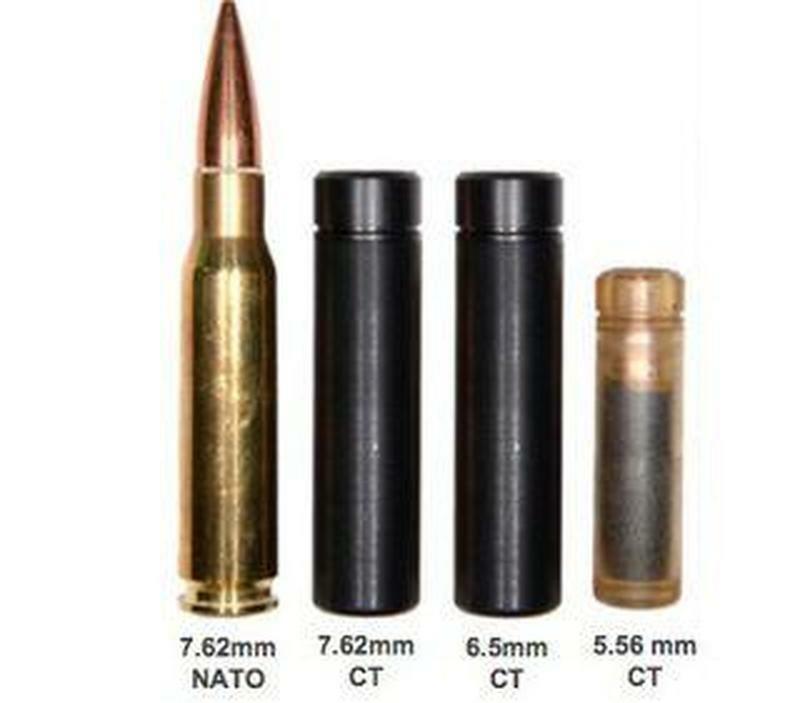 In October, the Army selected the 6.8mm, next-generation round as the official requirements for the NGSW-T. The new bullet is designed to penetrate the world's most advanced body armor at a range of up to 600 meters. 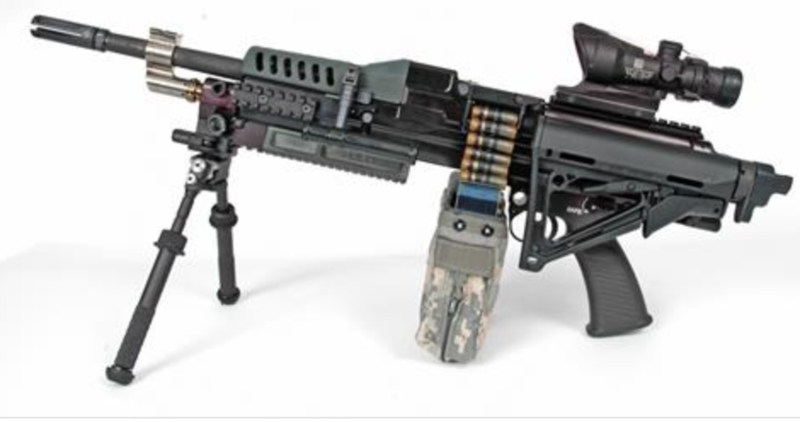 The Pentagon’s current shift from urban warfare in Iraq and Syria to the mountains and open terrain of Afghanistan have been the driving force behind modernizing standard issue weapons for infantry units. While standard rifles are well-suited for close combat in cities like Mosul and Raqqa, it lacks the range to kill adversaries in open stretches. The Army is expected to test AAI's NGSW-T weapon at firing ranges this summer. If the weapon meet's the Army's requirements for NGSW-T, then AAI could get a large contract to send the gun into series production to produce more than 250,000 units and 150 million rounds. The expected field date could be as early as 2020.